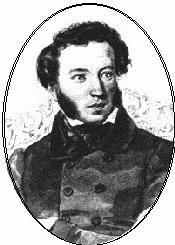 ﻿ Poetry Lovers' Page - Aleksandr Pushkin: "What Means For You..."
You are here: Home » Russian Poets » Aleksandr Pushkin » "What Means For You..."
What means for you my simple name? A stir in wilderness untamed. Which nobody discerns at all. The clear and gentle commemorations. Edited by Dmitry Karshtedt, July 1996.